This RedStone Infrared Quartz Freestanding Fireplace 1,000 sq. ft. Heated Stove with 3D Flame Effect provides supplemental zone heating for up to 1,000 sq. ft. The infrared quartz heat helps to maintain the natural humidity within.. This RedStone Infrared Quartz Freestanding Fireplace 1,000 sq. ft. 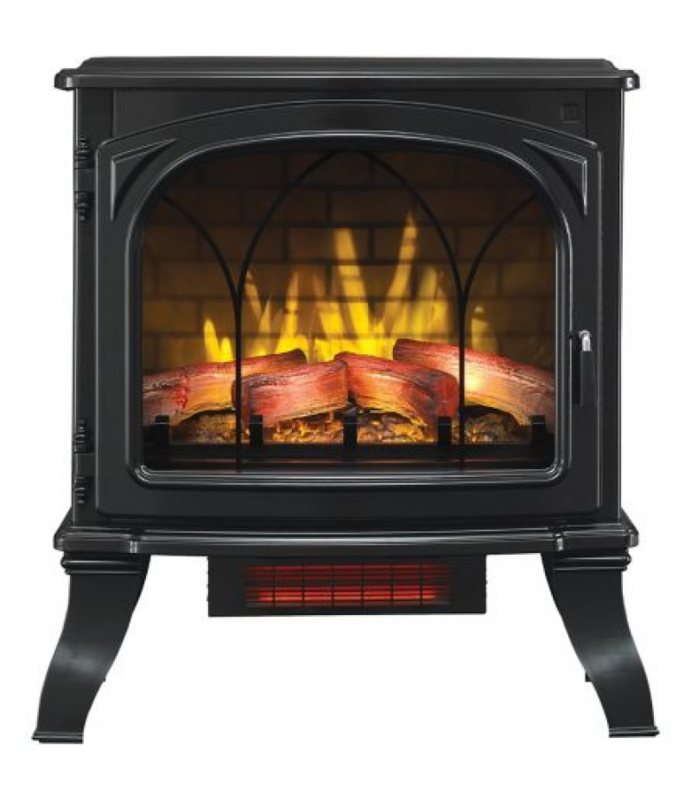 Heated Stove with 3D Flame Effect provides supplemental zone heating for up to 1,000 sq. ft. The infrared quartz heat helps to maintain the natural humidity within the air, resulting in moist, comfortable heat without drying out the room's air. The patent-pending 3D flame effect technology offers a layered flame effect to create a truly realistic fire experience with 5 adjustable brightness and 5 speed settings. The flame effects can be used with or without heat and include 5 brightness and 5 speed settings. This stove features 3 side flame viewing panels for a dramatic effect, an operable glass-front door and a digital thermostat read-out.